The Humphrey Genealogy only lists children Lucy, Asa, and Andrew. Carol Laun, Curator, Salmon Brook Historical Society, notes that, in addition to these three, that The Connecticut Historical Society has a Hillyer Bible Record that also lists Mary, James, Pliny, Affiah, and Theodore. [S275] Frederick Humphreys, Humphreys, Volume I, Page 241. [S104] DAR DAR Lineage book, Vol. LXIX:Pg. 199/Item 68550. [S25] Hannah McPherson, Holcombe Genealogy, Page 197/Item A-8-3-3-2-1. [S104] DAR DAR Lineage book, Vol. 69:Pg. 200/Item 68550. Irene Holcombe was born on 20 September 1825. She was the daughter of Alonzo Holcombe and Lucy Morgan. Marinda Holcombe was born on 28 January 1827. She was the daughter of Alonzo Holcombe and Lucy Morgan. Myron was a contractor and builder; enlisted in 1862 as pvt. with 116th Regt., Ill. Vol. Inf. with which he stayed during the remainder of the war, emerging as Regimental Adjutant. In 1869 he moved to Topeka, Kansas, where he remained until his death. Highly respected and loved by his associates for his wisdom and kindliness, and uniformly trusted. Myron and Dorcas were enumerated in the 1860 Decatur, Macon Co., IL federal census, film M653-203, page 136, dwelling 954, family 967. Myron was a farmer, age 31, Dorcas was 30. Children in the household were Omar A. 5, Carry 2, and an Alonzo Nicholson, age 12. Myron and Dorcas were enumerated in the 1870 Topeka, Shawnee Co., KS federal census, film M593-442,Ward 3, page 48, dwelling 355, family 371. Myron was a carpenter, age 41, Dorcas was 42. Children in the household were Omar A. 15, Carrie G. 12, Lizzie B. 10, Mina E. 7. In addition, Lucy Winchell age 45, perhaps Dorcas' sister, was in the household. Myron was mentioned in the Decatur Daily Review on 7 October 1887: Adjutant Myron Holcombe, of the 116th, paid us an agreeable call last evening renewing his subscription for the REPUBLICAN. His home is at Topeka, Kansas, whre he is a contracting builder. Myron and Dorcas were buried side-by-side. His sexton's record indicates he was born in Bellbrook, OH. [S25] Hannah McPherson, Holcombe Genealogy, Page 196.2/Item A-8-3-3-1-6-1-3. Xanthus Holcombe was born on 20 April 1833. Xanthus Holcombe was the child of Alonzo Holcombe and Lucy Morgan. Xanthus Holcombe died on 7 July 1834 at age 1. Ludolphus Holcombe was born on 7 April 1835. He was the son of Alonzo Holcombe and Lucy Morgan. Ludolphus was a farmer and raised pigs. In 1874 he and family lived in Pleasant Valley Twp., Cowley Co., KS. He served in the 51st Illinois Infantry, Co. D, "Vaughn's Batty". Invalid's petition filed 7/23/1890 in KS; his widow filed pension 1/21/1913. L. and Mary were eumerated in the 1880 Pleasant Valley, Cowley Co., KA, federal census. He was a farmer age 45; she was 44. Children in the household were Alonzo 13, Mary 10, Callie 6, and Frank 3. Information on Ludolphus and his descendants is from Salinas Holcomb, 803 Bedrock Dr., Everett, WA 98203. [S23] Jesse Seaver, The Holcomb(e) Genealogy, Page 68. Sallie Holcombe was born on 9 April 1838. She was the daughter of Alonzo Holcombe and Lucy Morgan. Henry Clay Holcombe was born on 12 December 1840. He was the son of Alonzo Holcombe and Lucy Morgan. Henry was a teacher; he died near San Francisco, unmarried. [S68] 1870 Federal Census, unknown repository address, 2nd Ward, Topeka, Shawnee Co., KS. [S23] Jesse Seaver, The Holcomb(e) Genealogy, Page 67-8. [S25] Hannah McPherson, Holcombe Genealogy, Page 196.2/Item A-8-3-3-1-6-1-3-1. The cemetery records in Topeka indicate that Carrie was born in Macon Co., IL, 2 January 1858. Elizabeth Belle Holcombe was born on 10 June 1861. She was the daughter of Myron Holcombe and Dorcas Caroline Winchell. Berenice Holcombe was born on 21 January 1881 at Topeka, Shawnee Co., KS.1 She was the daughter of Omar Alonzo Holcombe and Sarah Ellen Fowkes. Helen Hunt Holcombe was born on 20 August 1883 at Topeka, Shawnee Co., KS.1 She was the daughter of Omar Alonzo Holcombe and Sarah Ellen Fowkes. [S182] Social Security Death Index (on-line), Ancestry.com, SSDI, Ancestry.com, SSAN 556-03-1267. Inez Holcombe was born on 20 October 1887 at Topeka, Shawnee Co., KS.1 She was the daughter of Omar Alonzo Holcombe and Sarah Ellen Fowkes. Ruth Holcombe was born on 27 April 1890 at Topeka, Shawnee Co., KS.1 She was the daughter of Omar Alonzo Holcombe and Sarah Ellen Fowkes. Dorcas Katherine Holcombe was born on 1 January 1893 at Topeka, Shawnee Co., KS. She was the daughter of Omar Alonzo Holcombe and Sarah Ellen Fowkes. Marian Holcombe died young. She was born in March 1900 at Topeka, Shawnee Co., KS.1 She was the daughter of Omar Alonzo Holcombe and Sarah Ellen Fowkes. Charles Lamme Holcombe was born in August 1859. He was the son of Ludolphus Holcombe and Mary Lamme. David W. Holcombe was born circa 1861. He was the son of Ludolphus Holcombe and Mary Lamme. Alonzo Holcombe lived at San Francisco, San Francisco Co., CA. He was born on 8 August 1866 at IL.1 He was the son of Ludolphus Holcombe and Mary Lamme. Alonzo Holcombe married Evelyn King in 1890. Alonzo Holcombe died on 28 February 1935 at age 68. Lucy Holcombe died young. She was the daughter of Ludolphus Holcombe and Mary Lamme. Mary (Mollie) Holcombe was born on 21 November 1869 at KS.1 She was the daughter of Ludolphus Holcombe and Mary Lamme. Perhaps the "Callie" who married ? Corey and lived in Raton, NM in 1935. Julia Caroline Holcombe was born circa 1873 at KS.1 She was the daughter of Ludolphus Holcombe and Mary Lamme. Lucina Holcombe was born in November 1754 at Simsbury, Hartford Co., CT.1 She was the daughter of Abner Holcombe and Lucinda Willcockson. Michal Church was born on 26 July 1739. She was the daughter of Samuel Church and Elizabeth (?) Michal Church married Eldad Holcombe, son of Deacon Azariah Holcombe and Hannah Loomis, on 23 December 1756 at Granville, Hampden Co., MA. Michal Church died in 1779 at Granville, Hampden Co., MA. [S261] Robert and Helen Search, "Samuel Church", as compiled in Genealogies of Connecticut Families by Gary Boyd Roberts, page 371. Azariah Holcombe was born in 1758 at Granby, Hartford Co., CT. He was the son of Eldad Holcombe and Michal Church.4 Azariah Holcombe married Christina Shepard in 1789. Azariah Holcombe died in 1835 at Sand Lake, Rensselaer Co., NY. A private in Capt. John Carpenter's co., Col. Ezra Wood's regt; arrived at camp June 23, 1778; discharged Jan. 27, 1779; service, 7 mos. 22 days, at North river, N. Y., including 3 days to prepare for camp and 14 days (280 miles) travel out and home; company raised for 8 months; also, Capt. Samuel Thrall's co; enlisted Aug. 21, 1781; discharged Nov. 9, 1781; service, 2 mos. 29 days, including 9 days (180 miles) travel home, under Col. Marinus Willet on Mohawk River; company raised for 3 months. [S65] Deanna Holcomb Bowman Thomas Holcomb, Item 83431. [S25] Hannah McPherson, Holcombe Genealogy, Page 202.2/Item A-8-3-4-3-3. [S104] DAR DAR Lineage book, Vol. 57:Pg. 300/Item 56867; Vol. 149/Item 148090. Christina Shepard was born at NY. She married Azariah Holcombe, son of Eldad Holcombe and Michal Church, in 1789. Eldad Holcombe II was the son of Eldad Holcombe and Michal Church.1 Some of the Revolutinary service attributed to Eldad may have been served by his son Eldad II. Michel Holcombe was born on 20 October 1768 at Granby, Hartford Co., CT. She was the daughter of Eldad Holcombe and Michal Church.3 Michel Holcombe married Zadock Cooley, son of Clark Cooley and Sabra Bancroft, on 10 April 1788 at Granville, Hampden Co., MA. [S25] Hannah McPherson, Holcombe Genealogy, Page 202.2/Item A-8-3-4-3-6. [S65] Deanna Holcomb Bowman Thomas Holcomb, Vol. I:Pg. 164/Item 83434. Zadock Cooley was born on 8 February 1767 at Granville, Hampden Co., MA. He was the son of Clark Cooley and Sabra Bancroft. Zadock Cooley married Michel Holcombe, daughter of Eldad Holcombe and Michal Church, on 10 April 1788 at Granville, Hampden Co., MA. 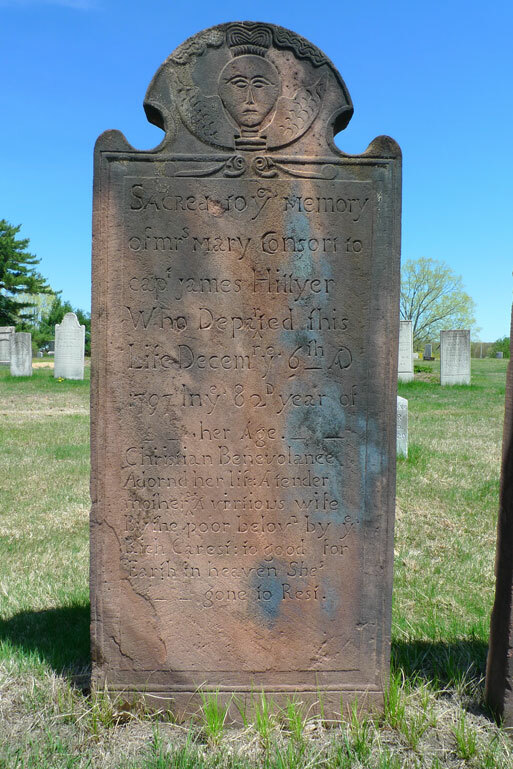 Zadock Cooley died on 8 December 1809 at Dropsy, Granville, Hampden Co., MA, at age 42. [S153] In collaboration with Lyman Edgar Cooley and Ernest Linwood Cooley, compiled by Vivien Bulloch Keatley Mortimer Elwyn Cooley, Cooley Genealogy, Page 588/Item 239. Candace Holcombe was born on 20 August 1771 at Granby, Hartford Co., CT. She was the daughter of Eldad Holcombe and Michal Church.1 Candace Holcombe married Clark Cooley II, son of Clark Cooley and Sabra Bancroft, on 28 April 1790. Clark Cooley II was born on 7 June 1769. He was the son of Clark Cooley and Sabra Bancroft. Clark Cooley II married Candace Holcombe, daughter of Eldad Holcombe and Michal Church, on 28 April 1790. [S153] In collaboration with Lyman Edgar Cooley and Ernest Linwood Cooley, compiled by Vivien Bulloch Keatley Mortimer Elwyn Cooley, Cooley Genealogy, Page 589/Item 330. Statire Holcombe was born on 1 June 1773 at Granby, Hartford Co., CT. She was the daughter of Eldad Holcombe and Michal Church.1 Statire Holcombe married Ephriam Pelton in 1791. Statire Holcombe died on 16 April 1861 at age 87. Ephraim was a farmer. He lived at Otis, Massachusetts, until 1812, when he located at Alburgh, Grand Isle county, Vermont. He removed afterward to Godmanchester, Huntington county, Quebec, Canada, and finally to Constable, Franklin county New York, where he died. Satira was enumerated in the 1850 Constable, Franklin Co., NY, federal census. She was 78. She was enumerated in the household of Francis and Serena Wagner. Mercy Holcombe was born on 4 October 1763 at Granby, Hartford Co., CT.2 She was the daughter of Obed Holcombe and Mercy Holcombe. Mercy Holcombe married Enoch Hayes, son of Daniel Hayes II and Abigail Hayes. [S25] Hannah McPherson, Holcombe Genealogy, Page 203.1, Item A-8-3-4-4-1. [S25] Hannah McPherson, Holcombe Genealogy, Page 147, Item A-8-1-5-1-7. Moved to Elizabethtown, Essex Co., NY. [S807] Find A Grave, online http://www.findagrave.com, memorial # 115152246.